Happy Wednesday! Here's your daily dose of Halloween reads. Get your B000000000k on, then enter to win the awesome prizes! Entering is easy, and scoring fantastic reads is even easier. Check back every day this week for more great for Halloween stories. Miss day one? Find is here. Skeleton Lake is on SALE for .99, but only through Halloween! I dare you to find something better for Halloween than Skeletons. Unsure if she's drowning or being saved, all Marlow wants to do is run away. Ensnared in a haunting love triangle, she realizes both boys have holes in their hearts; gaping spaces she can never hope to fill. Scars from loving the same girl, a girl who managed to stay dead. Now she is being hunted, for what she has become and what she never asked to be. Even as a Skeleton Marlow isn't the worst thing in the night-she isn't even close. 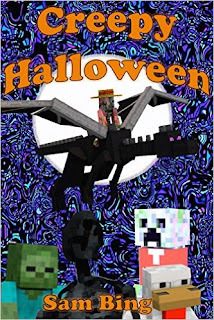 Minecraft is in, and it can be in with Halloween too! Creepy is excited when a zombie pigman invites him to go candy raiding in a nearby village for Halloween. Unfortunately the friendly creeper doesn't have the required holiday "haunting license" and gets into big trouble with the village guards. It takes some quick thinking from his friend, Cube Cowboy, to save Creepy from getting locked up or worse. Don't have Kindle Unlimited? Get it here. How does revenge lead to saving a life? And what is the perfect response to an almost perfect crime? After a sad breakup all Ryan wants is to be alone to clear his mind. It's a small world in Mexico for a Canadian tourist, and it gets even smaller when Ryan meets a man who is practically a neighbour. How unfortunate that a spot of youthful mischief keeps them from becoming good friends! But two people so well matched in wits can make even better enemies, and the dazzle of Mexico's colours and sunshine is an ideal stage for the pageant of death. 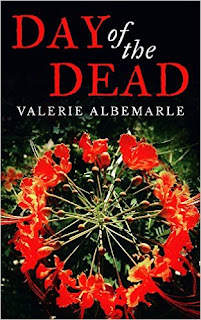 Get it for $3 on Kindle or FREE with Kindle Unlimited. More Awesome Prizes Than You Can Shake a Book At!